the amber threads blog: Sari Silk Ribbon in the store and a giveaway! 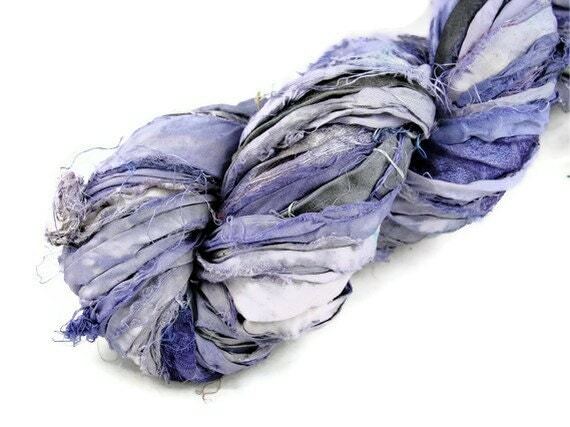 Sari Silk Ribbon in the store and a giveaway! 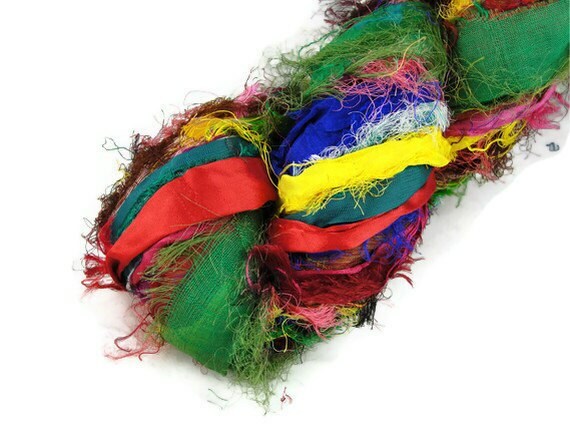 Sari silk ribbon is made with silk left over from manufacturing saris. The silk remnants are cut into strips and sewn end to end to make a long ribbon. They are approximately 40-50 yards in each 100 gram skein. I have these great colors listed already. More coming up soon. I recently reached a milestone - 100 Etsy sales and I'd promised a giveaway. So here it is. 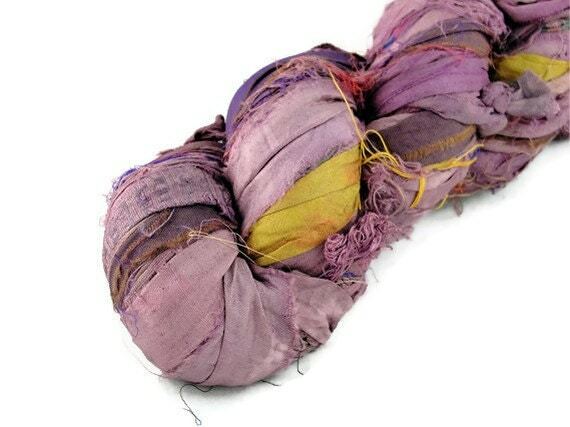 I'm giving away a skein of Recycled Sari Silk Ribbon yarn to one lucky winner in their choice of color from my store. I'm looking for better names for these two lavenderish ribbon yarns from my store. They are currently called Lavender Rose and Lavender, ugh! 1. Suggest names to the two lavender ribbons above in a comment to this post. And that's it! Entries will be accepted until Aug 23rd 2012 Midnight! On 24th I will pick a winner from among the entries. This time I won't be using my dear friend the random number generator, because I want names I like. So hey there might be 2 winners, one for each color! Wow,this is amazing giveaway,it will be hard to choose.My names are for 1-Sunset at summer 2-Deep blue sea.Thanks for the chance to win this yarn,never try it before. Some great recycled sari patterns and finds! A fun vacation and a lovely lunch box diner.